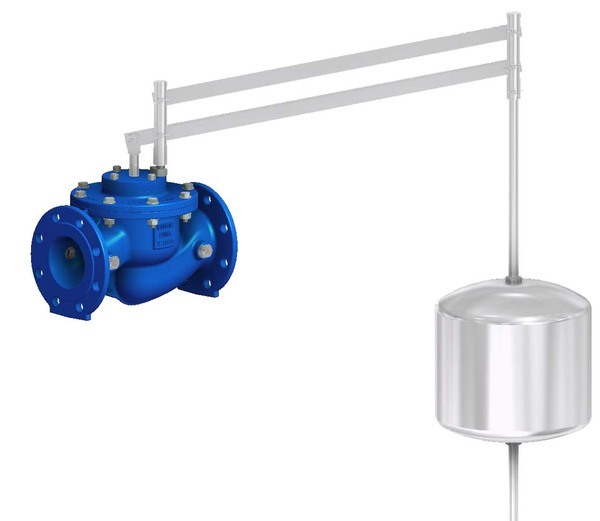 Externally controlled, float-operated control valve for the level control of water in tanks. The control characteristic can be adapted to the operating conditions by means of a finely slotted cylinder serving as control insert. Suitable for use in water treatment, water distribution, in power plants, in industry and in pressure management.